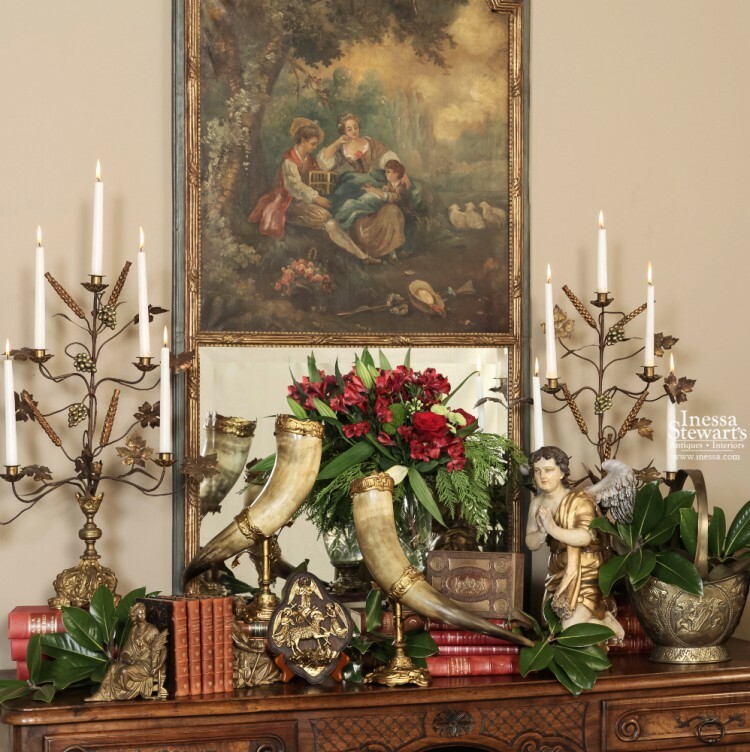 As the most wonderful time of the year is upon us, we would love to show you some creative ways to put together festive displays while using antiques in your holiday décor. From pewter to brass to Country French art, antiques bring sensational detail and make a one-of-a-kind statement for your special celebrations. Make sure follow us on Instagram, Facebook and Pinterest where we are always bursting with fresh ideas for every season. 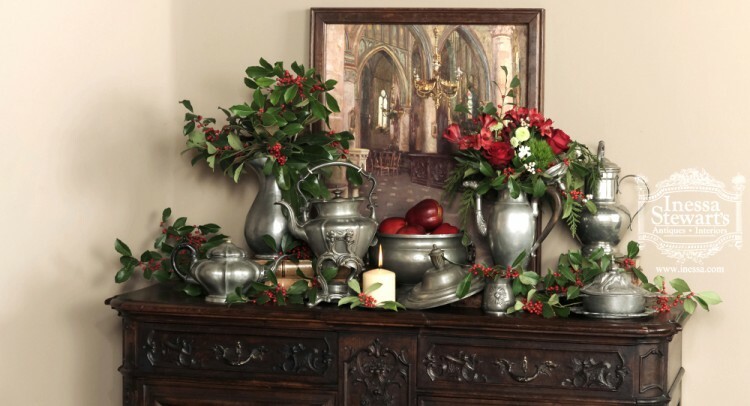 This antique pewter accessories collection paired with the bold traditional red and green colors of Christmas holly creates a very merry ambience for a festive tableaux. 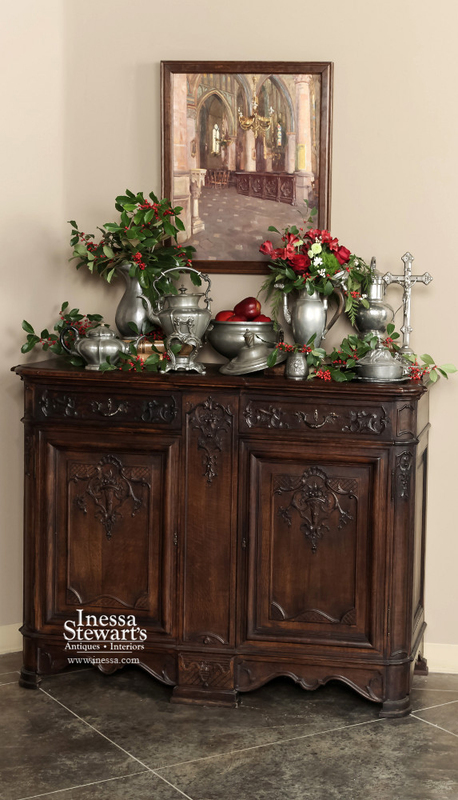 The antique painting of a church compliments the setting by giving depth, texture and added sentimental value to the display. Shining bright are the accents that light up our homes with Holiday cheer. 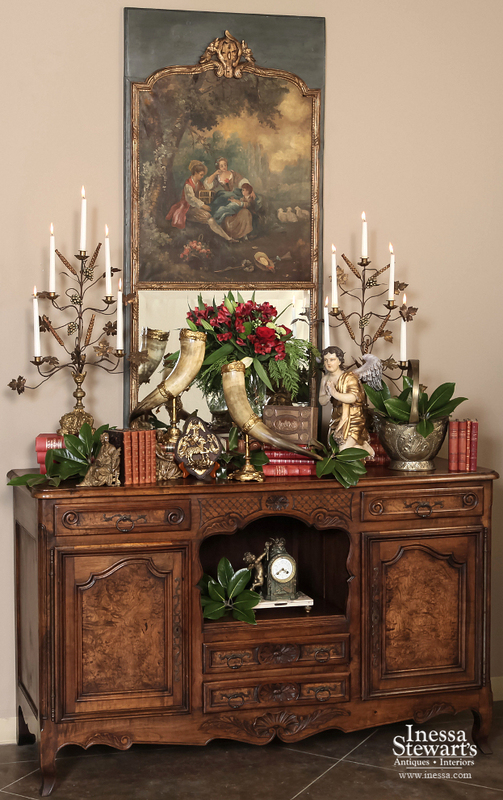 This setting’s antique tumeaux is the perfect focal element to showcase the meaning of the season. Notice how the early 19th century artist captured on canvas a family exchanging gifts ~ truly art imitating life. Even centuries later these traditions still hold a special place in our hearts, as it is the time of the year to be humble and thankful for our loved ones. This time of year we reflect on what we are thankful for – the people and moments that make us truly grateful. 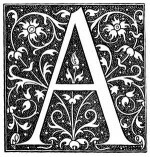 I am extremely grateful for all of you, our clients and friends. 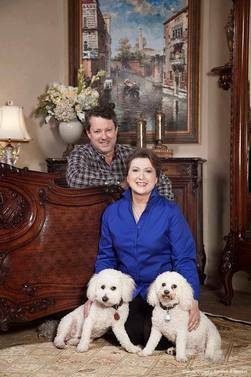 Your encouragement, support and advise inspires us to do what we love every day, and for that, we thank you. Have Wonderful Holidays and Merry Christmas!